Halloween for kids music | Halloweenradio.net 2018, every Halloween we make you scream! We bring you Halloween radio for kids, a special edition of Halloweenradio, made with kids in mind. We've collected songs and music that are advertised 'child friendly' and should be safe for fun-filled family afternoon. 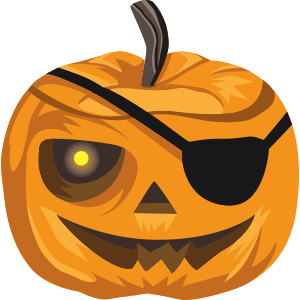 Listen to the Halloween radio kids channel with your own music player (like Winamp, iTunes, Window Media Player, ...). If you have problems listening or you need more information, just click here. Do you feel that chill in the air? It's the October wind, waiting to whisk you away to a world of scares and spookiness! Here at Halloween Radio, we just can't get enough of that hair-raising feeling, so we broadcast a selection of our favorite spooky songs 24/7! Whether you want to create the perfect spooky atmosphere for your Halloween party, or just can't wait for the big day to get into the Halloween spirit, stop by anytime and treat your ears to some creepy classics. From the Monster Mash to Thriller, there are plenty of tracks to get those skeletons in the closet up and dancing about all day long. On this station, October 31st isn't the only time when ghouls and ghosts get to come out to play. We broadcast all year round, so even when November rolls around, you can relive all the tricks and treats of the night before to your heart's content. We play every kind of music, so long as it has a terrifying twist, so what are you waiting for- hit play, and get ready to have your socks scared off! iPhone (iOS) & Android phone / tablet users, attention! We have some fantastic news for you! Halloweenradio.net has a new Android & iPhone (iOS) app! 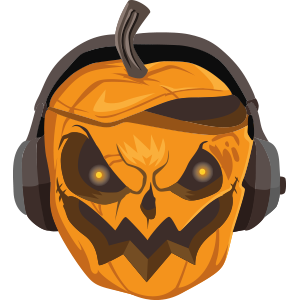 Listen to Halloweenradio.net on the flow wherever you go. The only requirement is that you have mobile or wifi reception in your tomb. Moehahahaha! Hello spooks, vampires, were-wolfs, zombies and dearest friends! Did you notice? There is something haunting about the moon ... it's full!! Whoehahahaha! Seems to me you're just plain scared? Then get ready to be horrified. This year our vampire IT-team have took eye of newt, and toe of frog, wool of bat and adder's fork to create a monster. Is it alive? Please help us keep the bonfires burning bright all night. Help us haunt you and make you scream! 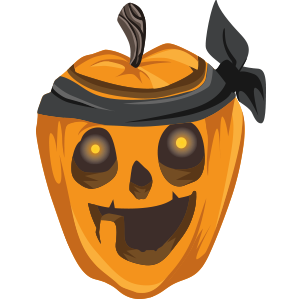 Support us with an evil treat so we don't need to trick, whoehahahaahaaaaaa. We want to thank all the donators who have made a donation in the past! If you want a unique Halloweenradio.net t-shirt. Browse through our Spreadshirts shop. We have a large variety of different pumpkin face shirts for men, women & kids. Order them now so you can impress your family and friends with it during the fall Halloween season. Select one of the three haunted Halloween music channels, Main, Oldies of Kids. Or dive into the pool of eerie sounds at Halloween radio Atmosphere. Halloween themed music, scary tunes or songs with a ghostly touch. Celebrate Halloween all year round with easily digestible worms Halloween pop, rock & ambient music. Unmasking the underworld of creepy sounds and unsettling noise, the ominous poltergeists in our dungeons bring you Halloween radio Atmosphere. A decaying fest of creaking old bone rattling songs from the past, in true spirit of the boogie-man. 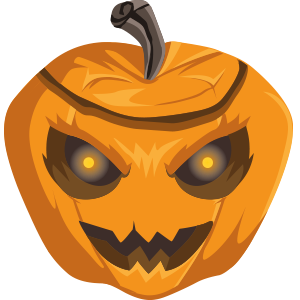 Take out you pumpkins and give them a legacy carving, while listening to demons of times past. We get it, you poured sea salt at the door to keep the ads out. Please consider whitelisting our site.